Above: The Concrete sofa designed by Stefan Zwicky – will make great improvement to urban settings. The chair is made of eco-friendly recyclable linear polyethylene and is available in 14 catchy colors like pink and red — all with UV resistant. Spanish designer, Maximo Riera want you to feel secure while watching TV so he made this collection of chairs that bring animals to life-like as your back watcher. 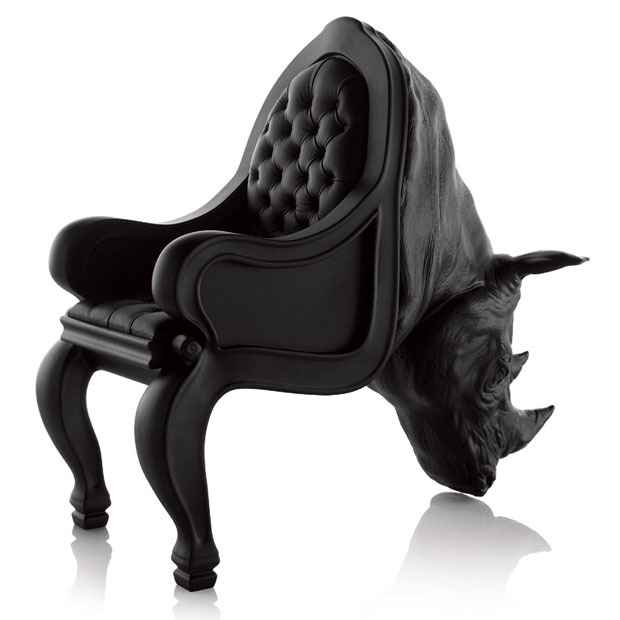 collection includes chairs based on a rhino, octopus and walrus, but he also has some more coming out soon. These include a lion, beetle and even a whale. Ghost chair by Valentinagw.com holds an illusion of a semi transparent chair made from 4mm polyester sheets. 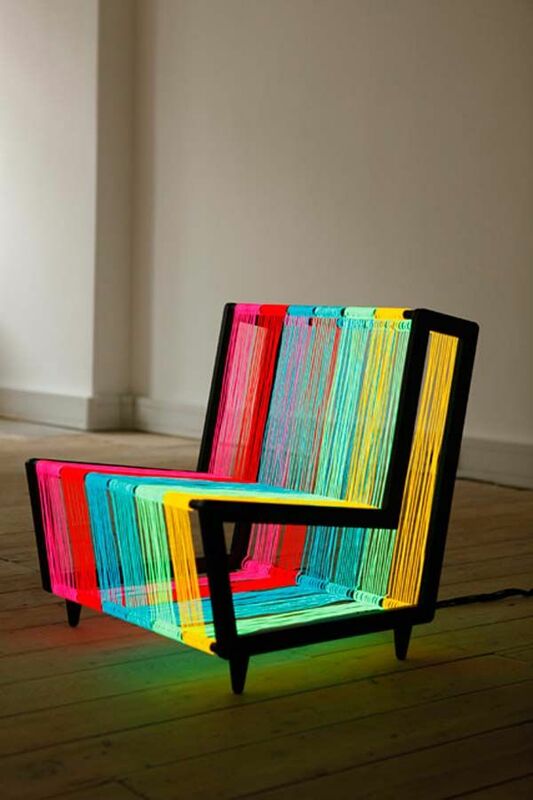 “Disco Chair” created by Kiwi & Pom, a London design studio.